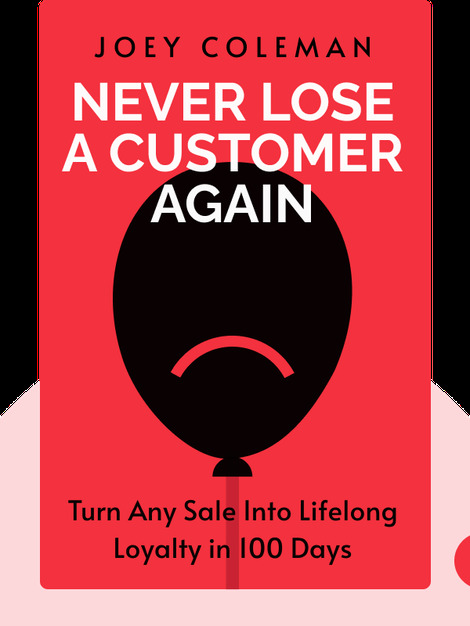 Never Lose A Customer Again (2018) is full of sage advice for businesses seeking to provide superior customer experience. 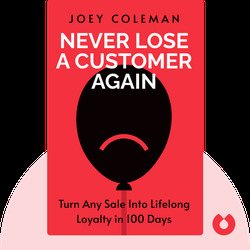 Whether your business is big or small, global or local, author Joey Coleman has got some words of wisdom for you. In addition to explaining why customer experience is so important, he details the many ways it gets overlooked. As Coleman makes clear, understanding the desires, fears and emotions of your customers will allow you to retain them and benefit from their support – and that will pay off in the form of major dividends. Joey Coleman is the Chief Experience Composer at Design Symphony, a company focused on creating unique and memorable customer experiences. He’s had a broad range of clients, from NASA to Zappos, and his strategies have been employed by Fortune 500 companies as well as ambitious start-ups.